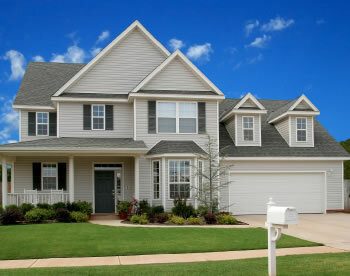 Whether you live in a suburban Colonial or a two-story townhouse, we can help protect your home. Our agency offers a variety of home insurance policies to choose from, and these plans can be tailored to suit your individual needs and budget. Erie Insurance's HomeProtector policies (homeowners in North Carolina) come with a full complement of standard features that cover your home, personal property and other structures. These policies also include coverage for liability protection, loss of use and medical payments to others in the event someone is injured in your home. You may also take advantage of higher deductibles, and you may qualify for discounts and credits to reduce your insurance premiums. Or, you can add endorsements to your policy to broaden the nature of the protection provided even further. insurance premiums. Erie Insurance offers a choice of deductibles. If your home was built in the last 14 years*, you'll receive a discount on your homeowners insurance. By insuring your auto and home with Erie Insurance, you will receive an additional savings on your homeowners insurance. Save on your homeowners insurance when you have a qualifying Erie Family Life policy (not available in New York). Install smoke alarms or a burglary alarm system in your home to take advantage of additional discounts. If your home is equipped with an automatic sprinkler system, you'll save on your homeowners insurance. With three HomeProtector products to choose from – Ultracover, Extracover and Broadcover – there's sure to be a policy that's right for you. *Age requirement of home varies by state.